Uno Productions was founded in April 1986 by Luis Medina. Luis Medina was born in Venezuela. After working in his home country as a radio producer and disc jockey, Luis moved to Los Angeles to pursue his dream to be in the Entertainment business. Please describe the industry you’re in. Luis Medina has over three decades of entertainment industry experience spanning radio, television, film, music, special event production and talent management in the U.S. Latin market. Luis hosted the first Latin music radio countdown in the US, and later managed A&M Records Latin music division for Herb Alpert. He co-produced the Latin equivalent of ‘We Are The World’ called ‘Cantare Cantaras’ featuring the biggest music names in Latin music. He has helped to manage the careers of Julio Iglesias, Willie Colon, Laureano Brizuela, among others. Also, Luis produced countless ‘larger-than-life- productions like Fiesta Broadway and the popular El Premio de la Gente, Latin Music Fan Awards, for Telemundo TV Network. How long have you been with Uno Productions and what is your title? 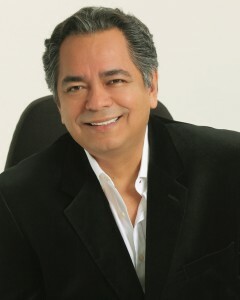 Luis Medina founded Uno Productions, Inc. in April 1986 and is the CEO. This coming April we will celebrate 30 years. Amazing but true. I am very proud. Uno Productions has built an impressive stable of Latin talent including actors, comedians, entertainment hosts, music producers, news & sports anchors, news producers, reporters, voiceover artists, writers and more. Uno Productions represents these experienced and gifted artists for jobs and career growth in the US Latin market. Also, we produce original content for Latin digital platforms. UNO Productions works with businesses to produce original content to help stimulate marketing and sales. We also help our talent to create original content for the promotion of their careers. You have accomplished so much in your career, what makes you so driven to succeed? My Family! I dedicate all my accomplishments to them. They are the main motivation I have in my life and daily work. All the fruits of my work are because of them. If there is one person to thank for your success, who would it be and why? The heroes of my life are my mother and father. I thank them every day. Also, my dear friend, Peter Lopez, was so crucial in my life. He was a great entertainment attorney and a mentor to me, who sadly passed away few years ago. Also from my spiritual side, a great motivation is my profound love for, MY GOD. I am a man of a supreme faith. I enjoy very much the entertainment industry. I grew up in the business. I recognized at an early age that our Latin USA market was growing in the world. I am proud of the contributions I have been able to make as it has grown to be a giant. I also am thrilled when I can make a contribution to the careers of the many people we represent. I love to see them successfully grow under our guidance. Do you have any shout outs for your employees? IT TAKES MORE THAN UNO TO MAKE IT GREAT.